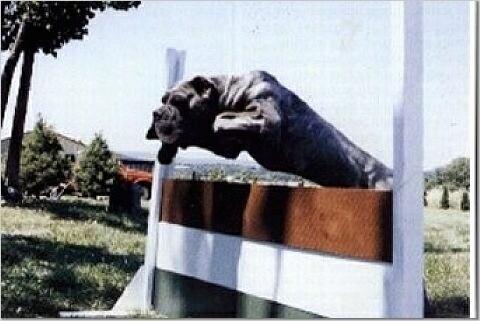 The Lakota Mastino is a large-sized dog, with a very muscular, yet agile body built for working dog sports. The skull is broad, strong and muscular with extra skin. The stop is rather abrupt. The nose is large and black, red or any color. Muzzle is moderately long and the nasal bridge is straight. The jaws are powerful with upper and lower jaw strength. The teeth are super strong with a scissors bite. Eyes are intense when alert, any color, with a dignified expression. Ears are naturally small, rather thin, set high on skull or with a working dog crop. Neck is thick, muscular, with a dewlap. The body is muscular, long, and low for long-distance running. Withers are high. Back is level and straight. The tail is set on high, thick at the root, reaching hocks, and tapering at end. Can be cut or uncut, depending on the breeder. The shoulders are moderately sloping. The forearms are big-boned, moderately long and strong. The hindquarters are powerful and capable. 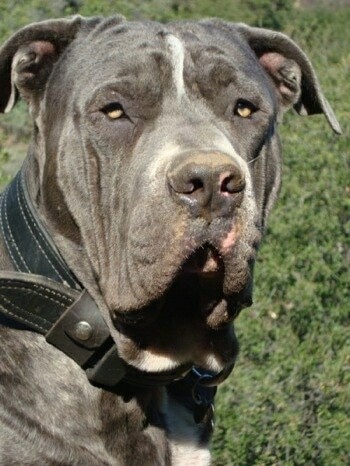 The Lakota Mastino has a short, dense coat, allowed in any color, but preferred in black, blue and brindle shades, with or without small white markings. Double gait tracking, powerful, able to pace for long distance. 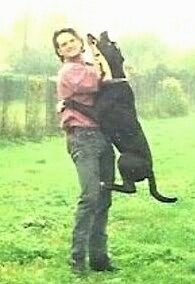 This is a large and strong dog, lighter and more agile than the modern Neo and more powerful than most Bulldogges. The most important characteristic of the Lakota Mastino is its stable temperament. Driven, energetic and very intelligent, this courageous breed is highly trainable and it excels in sports such as Personal Protection, Weight-Pull, Mondio Ring and similar activities. 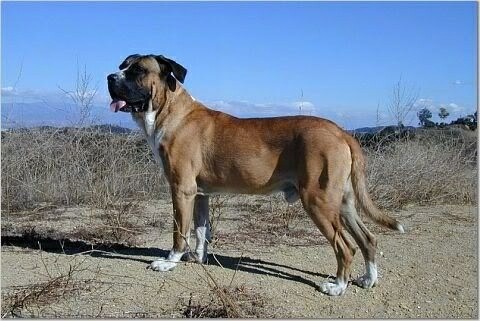 The Lakota Mastino shows strong prey and defense drives, and has a temperament perfect for the tasks of working dog training and is highly intelligent. Its temperament is marked by patience, composure, boldness and courage. It is energetic and has the drive to be active. Watchful, it is on the lookout, observant or attentive to its surroundings. 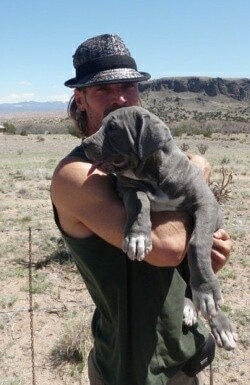 A Lakota Mastino should be conscious of what is going on around him. It may be the flick of an ear or a quick glance but few things go unnoticed. When working it is determined—being resolved in a decision and maintaining an intense, steady focus on the task at hand. 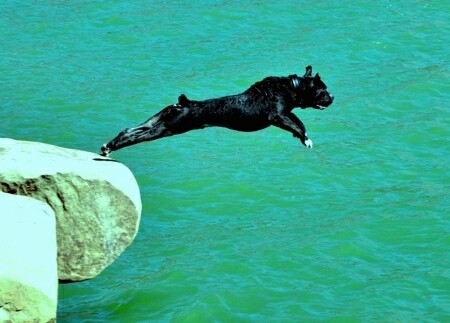 This breed is fearless and will confront the unknown with a confident, stable attitude. Alert and aware of the surroundings and ready to respond. Loyal, with faithful allegiance to its master; it has the desire to give 100% without question and remain steadfast in defense and support of its master’s needs. 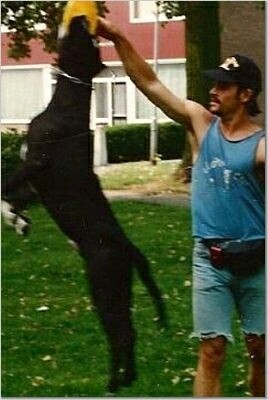 In the ring, obedience is a positive attitude toward the handler and a desire to please. Stability, confidence, courage, sharpness, hardness, sociability and sensitivity are all characteristics the Lakota Mastino is known for. When training for protection work a dog must be brought along slowly to build confidence and understanding. A dog should not be hurt or frightened in order to elicit aggression. If neither prey work nor defensive postures elicits a response, the dog either doesn't have the proper drives or it is not mature enough to handle the work. Some owners inappropriately encourage aggression in their dogs outside of protection training. This is wrong. They sometimes do not keep the control over the dog, often delighting in the macho behavior of their dog. Working dog training will not change the dog's basic temperament. 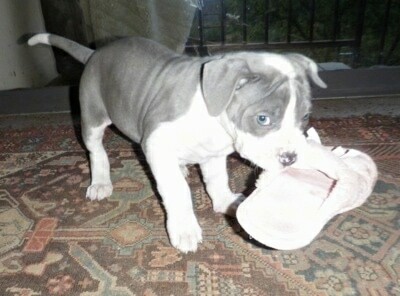 It will give you a good view of the dog's total temperament under stress. An edgy dog will always be edgy. A Lakota Mastino will always be stable and must demonstrate a high level of performance, ability and courage. As a property guardian, the Lakota Mastino is a calm, calculated and intuitive watchdog, but when it feels threatened and needs to protect its territory and master's family from an intruder, the Lakota Mastino becomes an intimidating and convincing guard dog, more than willing to back up its threats with swift and precise actions. The Lakota Mastino can be aggressive and on guard when needed, and the Lakota Mastino is a very stable and noble breed, making a wonderful family companion, gentle with children and completely devoted to its master and family. The perfect balance. This is a smart and calm mastiff, choosing its battles carefully and reacting only when necessary. Early socialization and proper training are very important, as is responsible handling, because the Lakota Mastino can sometimes be confrontational around strange dogs without it. Fairly playful and loving of its human family, the Lakota Mastino requires plenty of exercise and leadership. 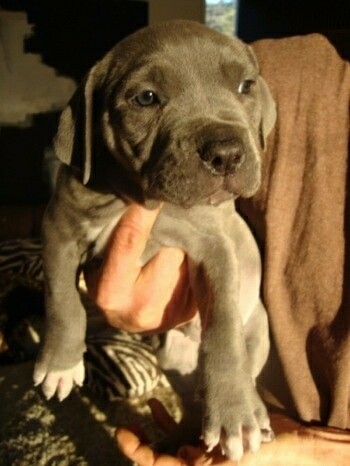 When raised with other dogs and small animals from puppyhood, this handsome breed will accept them as part of its pack. This breed is not for the passive owner who has no plans on working the dog. Needs a strong leader who understands dog behavior. Will do okay in an apartment if it is sufficiently exercised, both mentally and physically. They are relatively inactive indoors and a small yard will do. This breed likes to be with its owner and would not enjoy life in a kennel. This breed was bred to work and needs a great deal of exercise, both of body and mind. 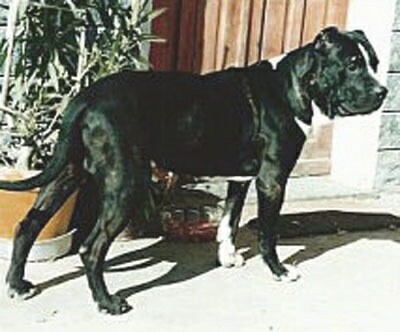 The Lakota Mastino is a type of Bandogge. The concept and use of the Bandogge predates most of the currently "established breeds." Breeders have bred best to best for thousands of years to produce functional work dogs that farmers and their families could rely on. 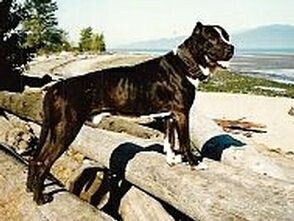 The old school Bandog was a beautiful, powerful, athletic and highly capable work dog that was revered and respected by families worldwide. 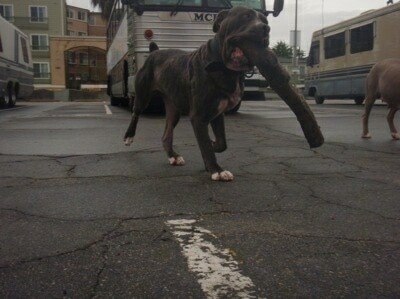 The Bandogge is not a new breed, and has been produced for thousands of years. Originally a cross-breed (most breeds are originally a line-bred cross), the concept of the Bandogge, that being the out-crossing of two superior breeds with a specific purpose and function in mind, is as old as K9 history. Since man stepped out of caves to hunt wild beasts for food we have harnessed the abilities of domesticated dogs to enable us to survive. 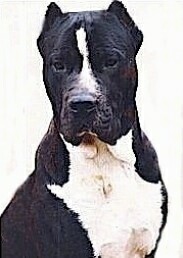 The Mighty Lakota Mastino was (re)created in the early 1990s by Jonothan Shiloka, top breeders, judges and a shaman. Shiloka used only game-bred Colby & Carver "Bulldog," working strains of the Neapolitan Mastiff and Bandogges. The focus was on using only the best and proven lines of working protection dogs, successfully establishing a bloodline that possessed a superb drive, steady temperament, good health and remarkable agility and trainability. The Original Lakota Mastino Bandogge's roots date back over 400 years, to the period of Spanish exploration of the New World, specifically the Gulf Coast and southern portions of the East Coast of the United States. On these expeditions the Spaniards were accompanied by "war dogs," believed to have been Mastiffs and “Bulldogs.” These dogs would assist in hunting, guarding the camps and battle. Hernando DeSoto had traveled from Florida into Louisiana, bringing with him the "war dogs" that had made the journey to the New World. The breeds that were referred to as “war dogs” were the Bandogges. After suffering defeat in battle, DeSoto abandoned his war dogs, which were allowed to roam freely. 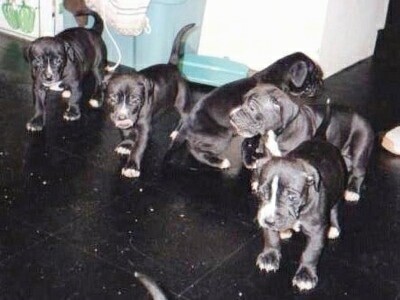 Some of these dogs were wounded or left behind and were captured by the Native American warriors. They bred “Wolf Killers,” and interbred and the offspring of the various breedings were then used by different Indian tribes to protect their chief, hunt wild game, protect horses and tribe from wild boar attacks, while hiking through the bush, and to keep warm. The natives around Florida and much later, the Lakota Tribe bred these dogs, adopting them into all aspects of their daily activities. These Bandogges became known as the "Lakota Mastino," and were the companions and protectors of the Native American warriors and personal companion to the chiefs. They were used to locate and catch wild game, much in the same manner as hunters use their dogs to catch wild boar today. 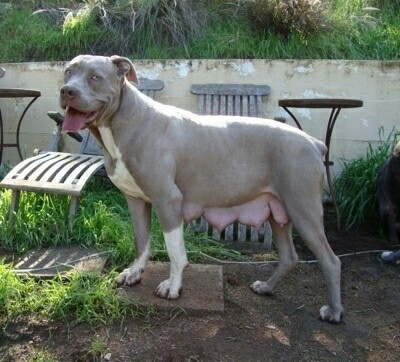 Though breeders of Bandogs today disagree on just what breeds went into Bandogge’s original breeding scheme, the general compromise is that it was 50 % Ch. working Bulldog, and 50 % very large, molosser type. Through selective breeding for type and ability, breeding relentlessly, the best to the best for at least 6 generations, for a homogeneous type to start breeding true and produce greatness.